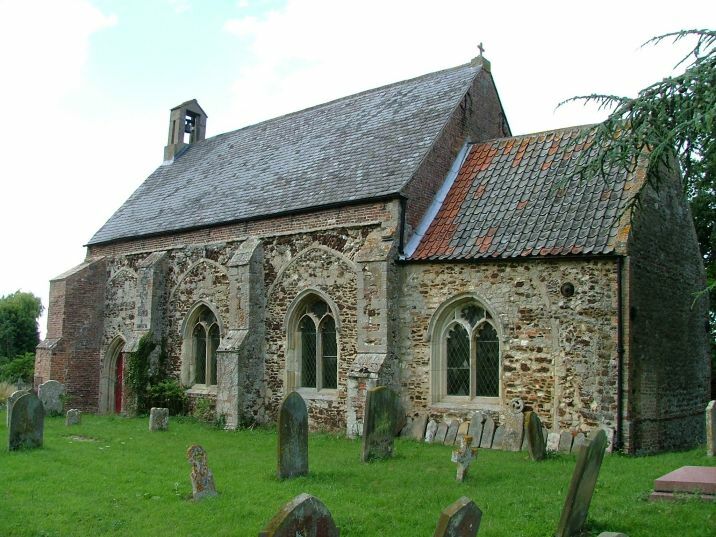 Fordham feels curiously remote for a place so close to the Downham Market to Ely road; its atmosphere is more like that of the Fens on the other side of the Ouse than of the rest of Norfolk. 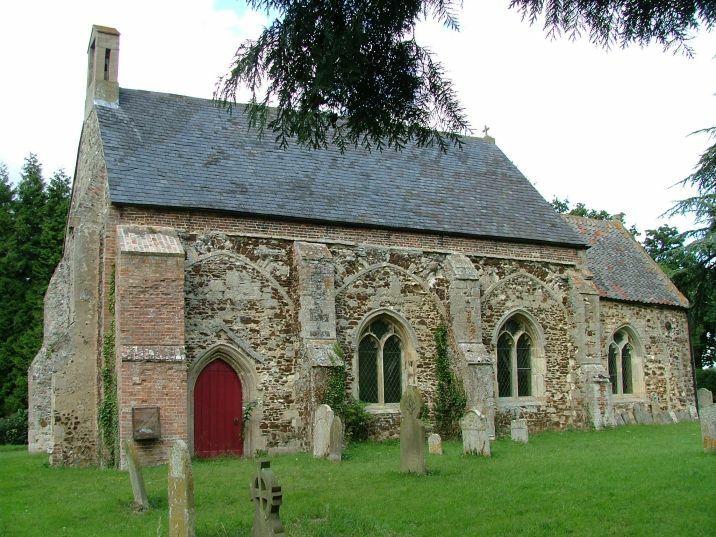 Pevsner says of Fordham that there is no village, just a scattering of houses; of course, this is true of many Norfolk parishes, but you know what he means, Fordham is exactly like that. 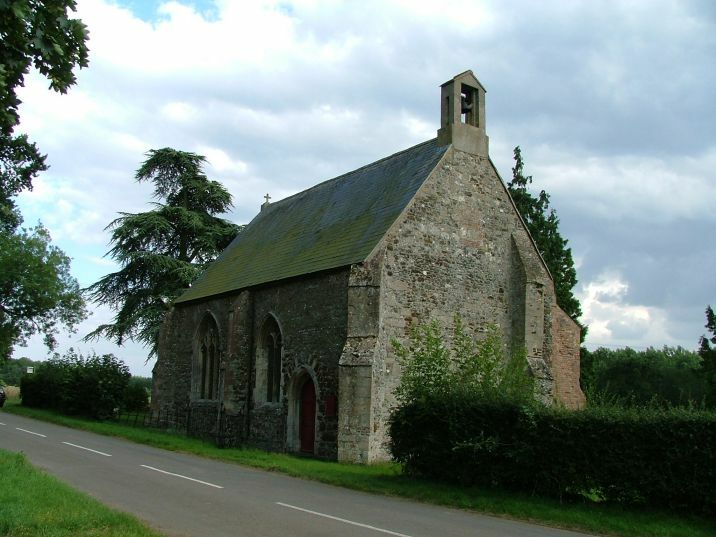 The church sits across the road from two fairly grand brick houses, at a bend in the road. 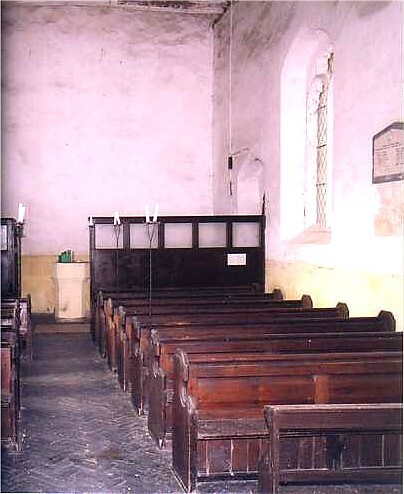 St Mary is a mere ghost of a once much bigger church. 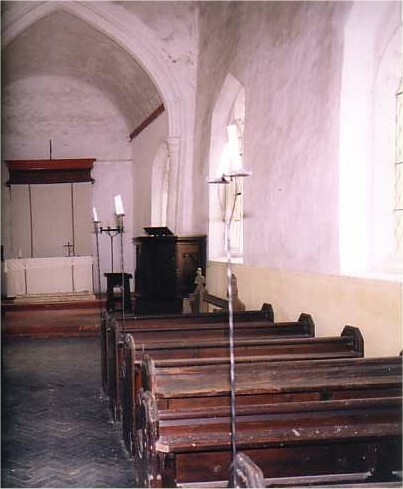 Looked at from the outside, the little off-centre chancel is the only real medieval survival. There was a tower once, but it has gone. 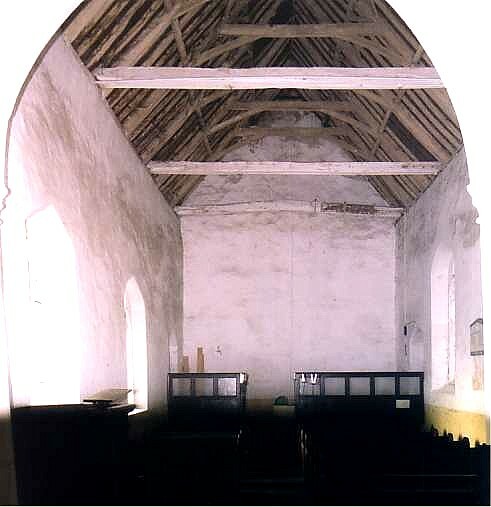 The nave collapsed in the early 18th century, and was rebuilt using some of the rubble - one window in the north side appears to be the original tracery, and you can see the south arcade in the new wall, so there must have been an aisle once. 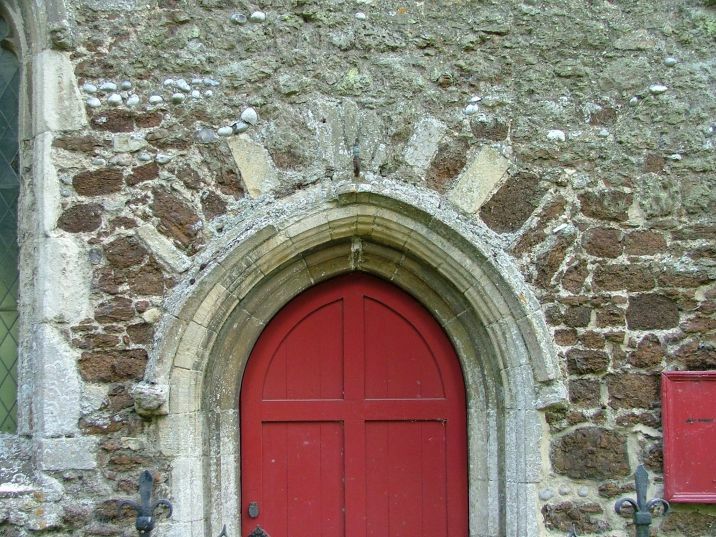 There is a pleasing mixture of carstone, flint and red brick. 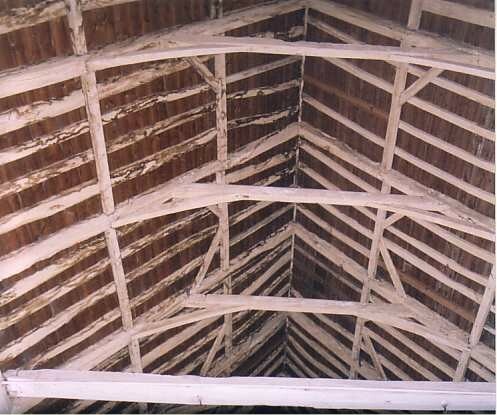 There are no signs or notices, no indication that this building is still in use. It is, unusually for these parts, kept locked, and there is no indication of a keyholder. Luckily, the tenacious Peter Stephens managed to track down the custodian, who let Peter inside and treated him to a guided tour which, Peter tells me, went on at some length. 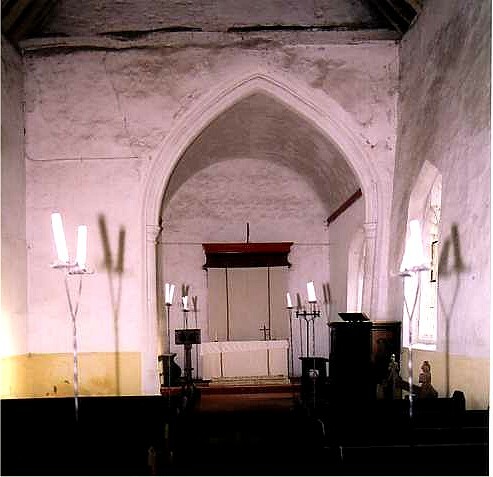 Some of Peter's atmospheric photos of the inside are below. 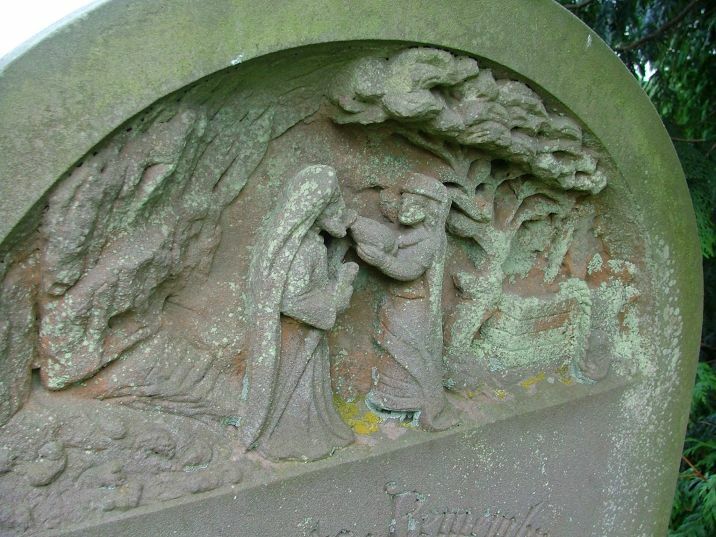 In the graveyard is one of the deepest and most elaborate reliefs on a Victorian gravestone that I have yet seen in Norfolk. It shows the woman at the well giving water to the thirsty Christ. Trees shelter the pair, and even the rope for the bucket is rendered perfectly. The figures are sentimental rather than naturalistic, but you sense the heat of a dusty day in Palestine 2000 years ago. The stone appears reddish - could it be granite? - and all in all it is remarkably fine. I wonder who the mason was?